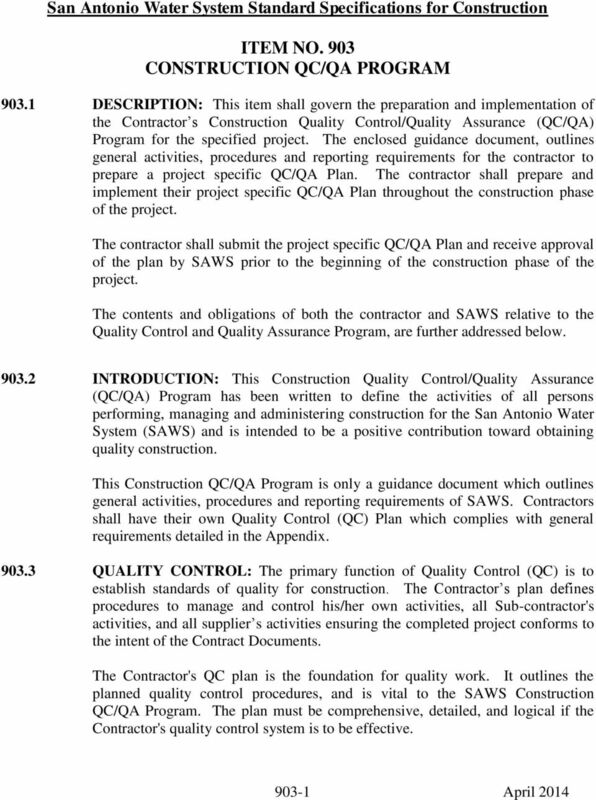 Download "San Antonio Water System Standard Specifications for Construction ITEM NO. 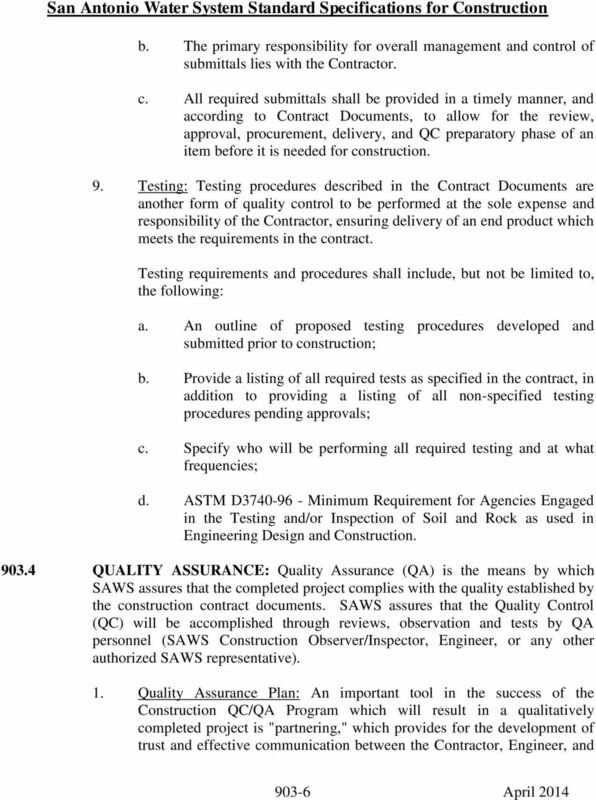 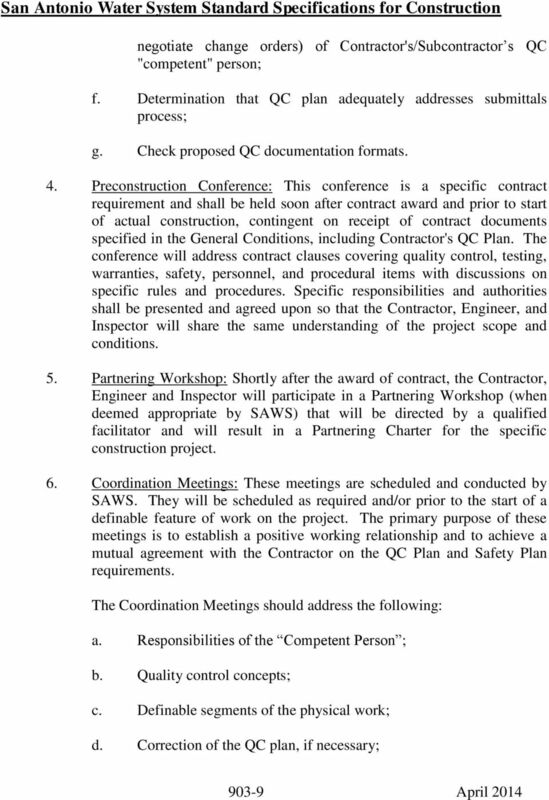 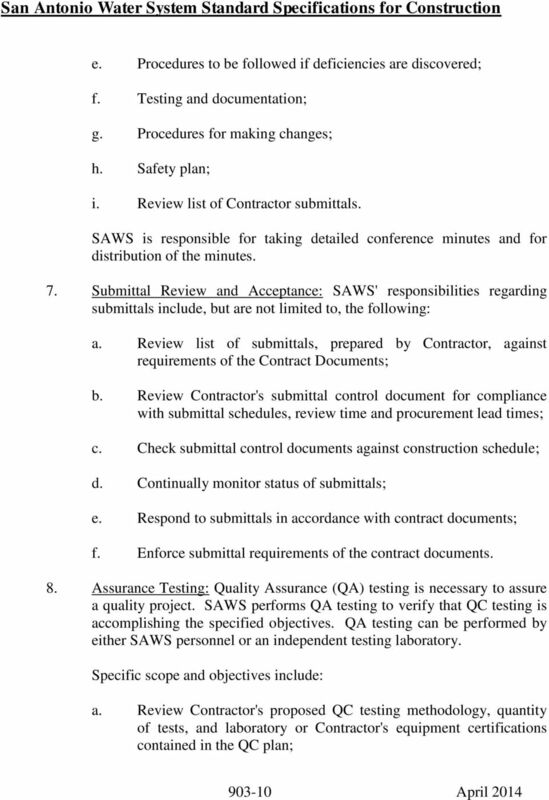 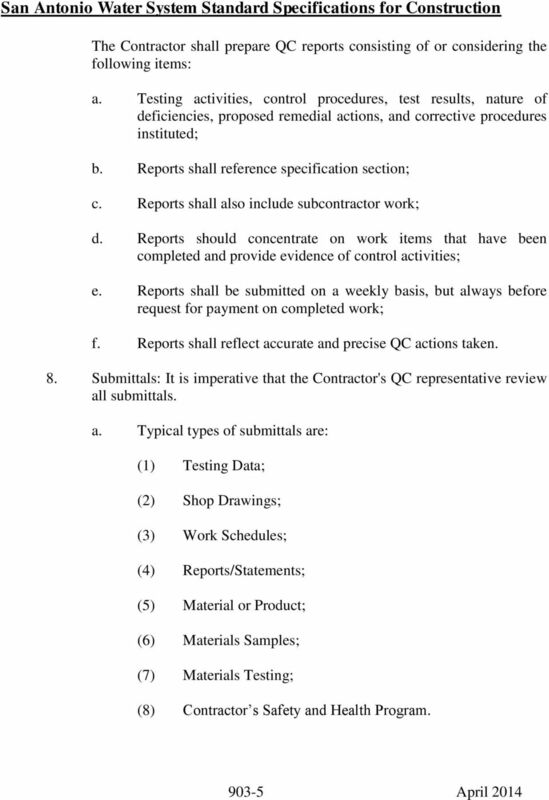 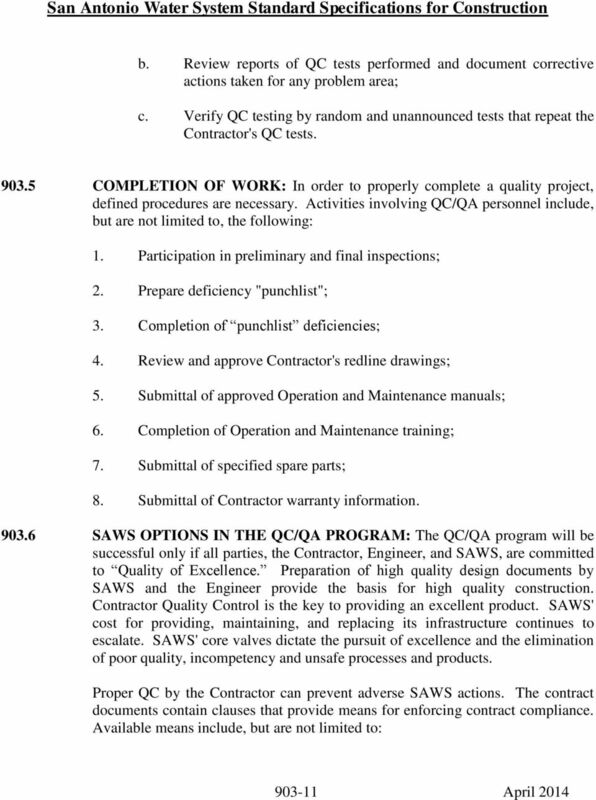 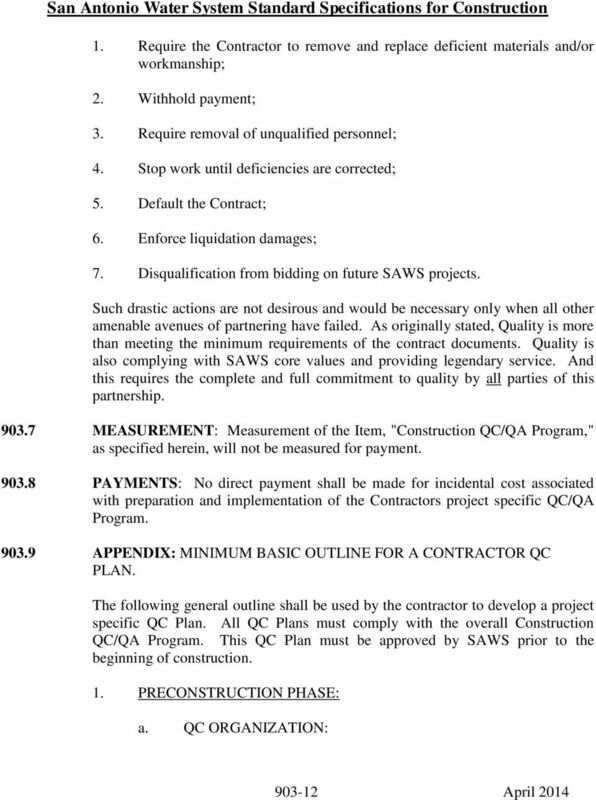 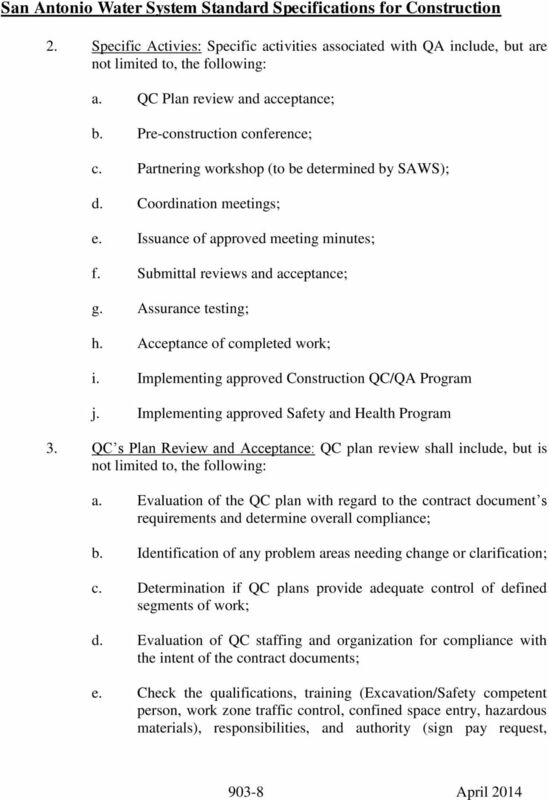 903 CONSTRUCTION QC/QA PROGRAM"
1 OF 7. there will be few "surprises" as the work progresses. 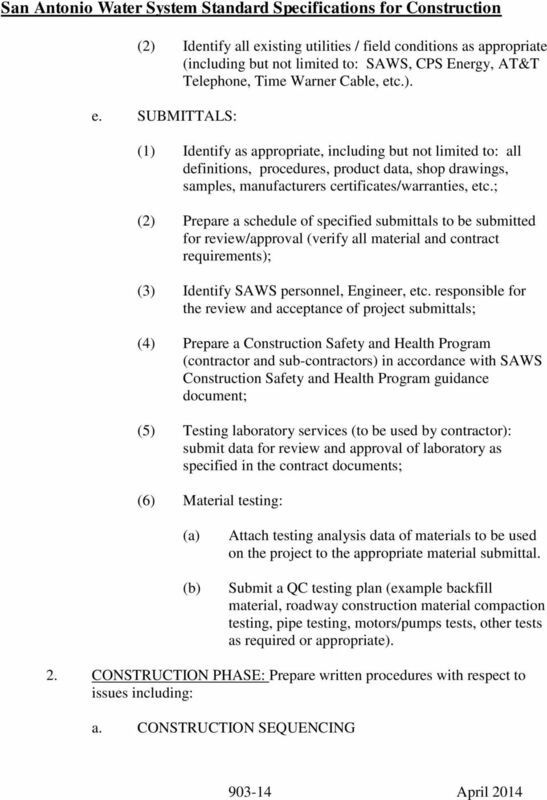 REQUEST for STATEMENTS OF QUALIFICATIONS PROFESSIONAL ARCHITECTURAL & ENGINEERING SERVICES FOR DESIGN of Two Parking Garages: 1. 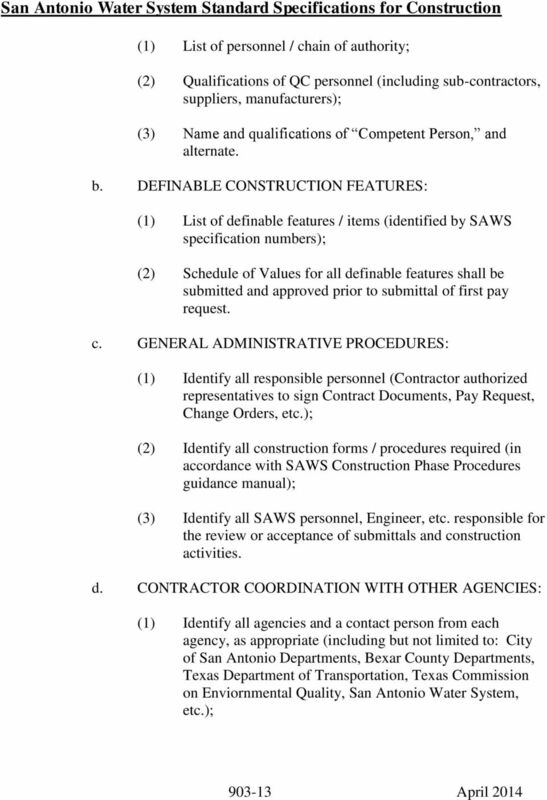 Expansion of Existing Bexar County Parking Garage (approx. 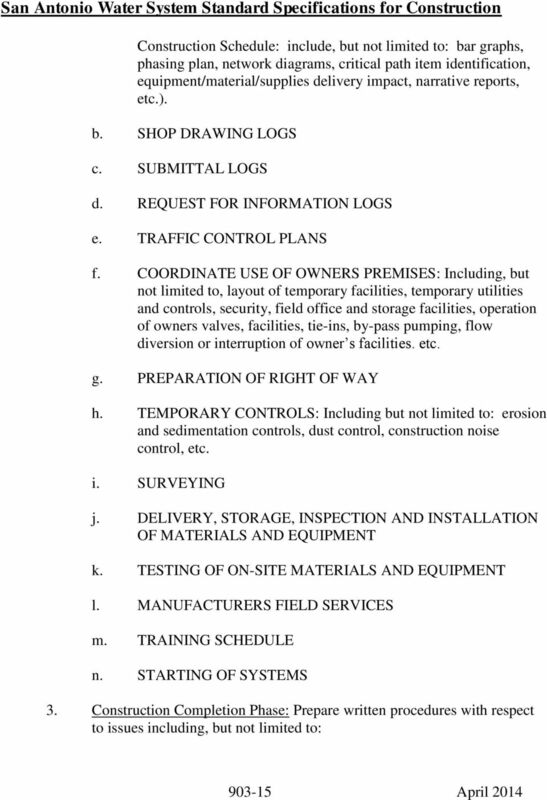 500 spaces) 2. 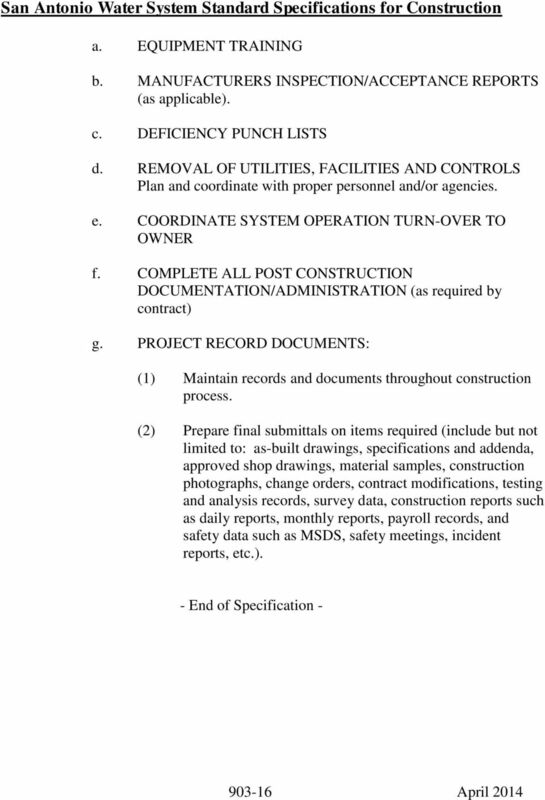 Seeking Residential Rehabilitation Cost Estimating and Monitoring Services Neighborhood Housing Services of Orange County, NSP Program. 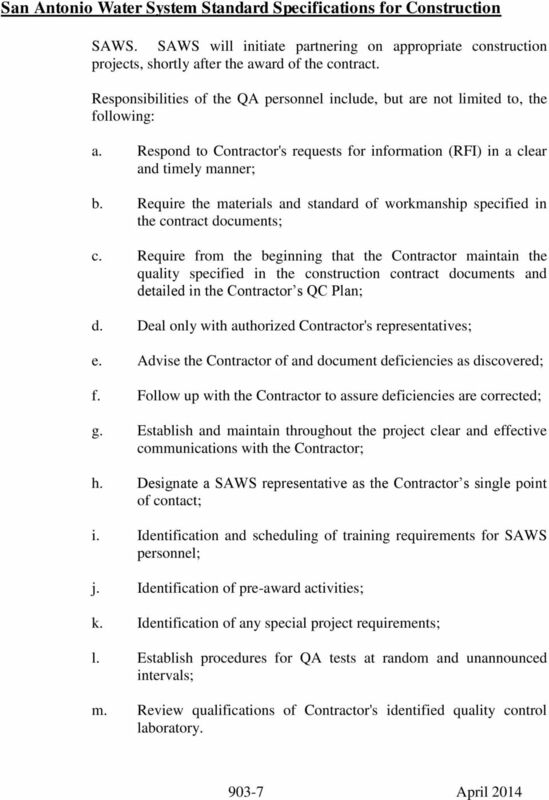 REQUEST FOR QUALIFICATIONS/ REQUEST FOR PROPOSAL. 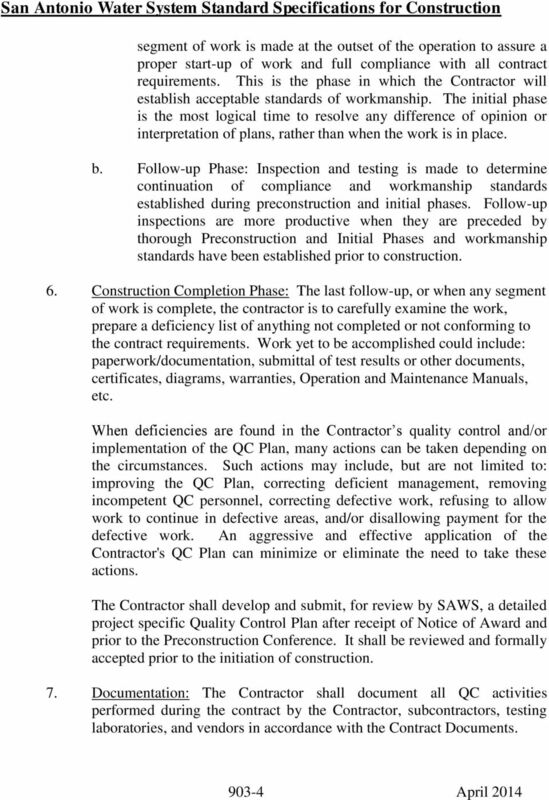 for CONSTRUCTION MANAGEMENT SERVICES. 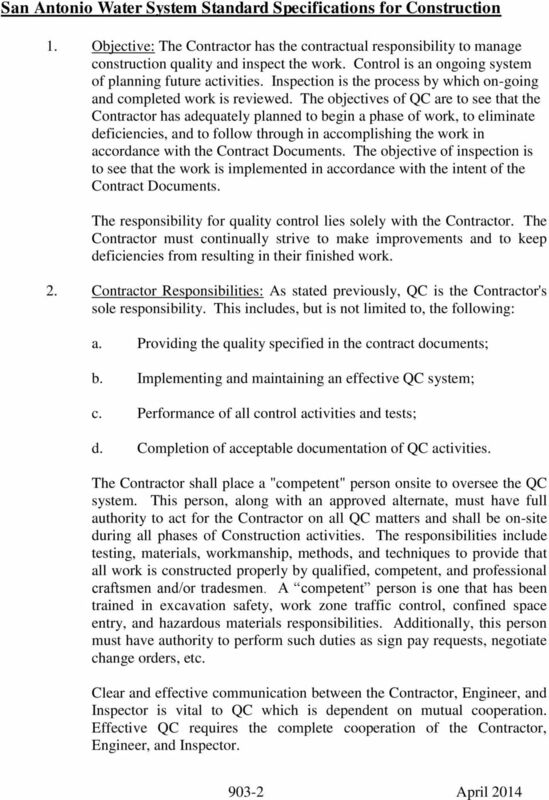 For CHAPEL OF PEACE AT RIVERSIDE CEMETERY. 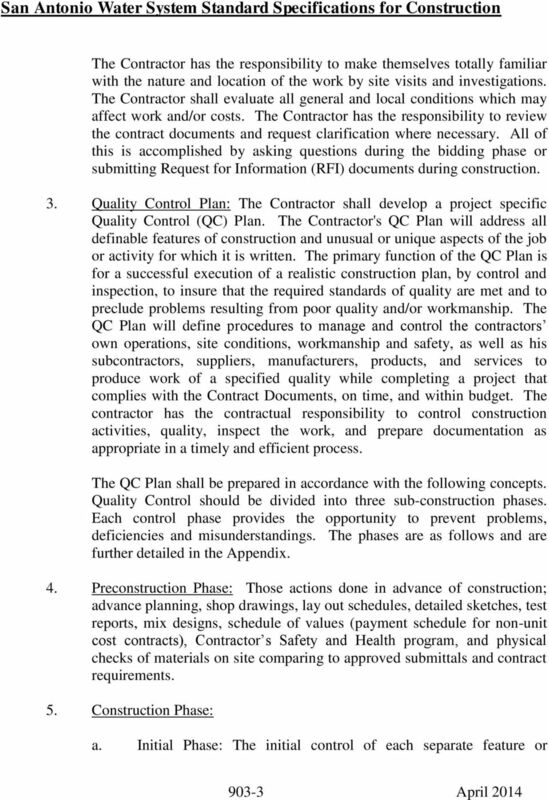 Project No.